Two times the lanes means two times the fun! 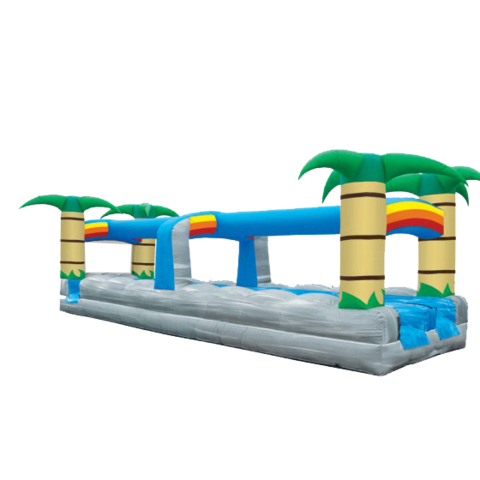 The Run 'N' Slide Tropical 2 Lane Slide is 31 feet long and will be a slippin' and slidin' good time for all ages! The weight limit for this jump is 500lbs. This rental's based price is for 6 hours. If additional rental time is needed we do offer overnight rental which is 25% extra.